I washed Mom’s hair today. What a mess! For some reason, Mom, like many people living with Alzheimer’s, does not enjoy bathing or showering. Perhaps it is the overwhelming number of tasks associated with morning rituals that someone with Alzheimer’s can no longer remember how to do or what order to proceed in. I imagine Mom has a blank space in her memory when she’s asked to wash. And not being able to do it herself undermines her sense of accomplishment and control when she realizes she is dependent on someone else to assist. Mom doesn’t know the difference between a skirt, a bra, and her nightdress. She can’t adjust the water temperature in the shower. She forgets to use soap. And she most certainly won’t put her head under the water. When invited to shower, Mom often says she has already showered. The argument to convince her that she hasn’t or that she needs to wash often ends in rage and frustration, not only for Mom but for myself, my dad, and Sahlee, our caregiver. Or, Mom tells us she doesn’t feel like showering today. It does no good to remind her that she hasn’t showered since yesterday, because she of course she can’t remember. Suggesting she smells is even worse—how insulting! Someone must be with Mom while she showers. And we must be there with the understanding that we may get wet. When we can convince her to shower, usually every day, but not always, Mom has on occasion entered the shower with her underpants on. Trying to removing sopping wet pants from an incalcitrant individual is not an easy task. Showering regularly can prevent body odor and urinary tract infections as well as funguses and rashes. We’ve learned, though, that the daily battle to get Mom in the shower can be relaxed on occasion. This still leaves the problem of Mom’s hair. If we can convince her to wash it once a week, we’re lucky. Today, Sahlee tried to convince Mom that we had a wedding to go to, but Mom wasn’t hooked by that idea. She often rambles during the day about the children or people she must see, and I wonder where in her memory she is on these occasions. I don’t think her self-references include beauty preparations for outings. I’m wondering where she sees herself most often. In her mother’s house? A young, independent secretary? A newly married woman? What has she done or accomplished in her life that might lend itself to needing to wash? Perhaps if we couch it in terms of health issues she might be more amenable to our sitting her on a chair in the bathroom with a towel draped on her shoulders. In any case, wetting her hair and massaging in shampoo was the easy part. But she would not look up or tilt her head back in order for us to rinse it out. We had her stand up and bend over the bathroom sink instead. That worked until she realized that there was water pouring down her head and she took a few steps backwards. Lots of water ended up on the floor, on our shoes, and on our clothes. Most of the shampoo came out, but not all of it. Mom was upset but not angry. She even agreed to dry her hair and style it with her brush. And so to next time. There are many articles online about the benefits of non-washed hair. Can I swallow that advice? Will Mom’s hair become lush and full with little to no washing? Or will she end up with dreadlocks? I think I’m going to invest in dry shampoo. Yes, it’s a real thing. Maybe we’d be less wet on that ride. As always, entering my kitchen is a relief from the stress of caring for Mom. With Purim happening this week, I wanted to make something that reflected the holiday. Purim is the celebration of Queen Esther saving us from the genocidal plan of King Achashverosh’s evil minister, Haman. There is a legend that Haman wore a three-cornered hat; to commemorate his downfall, we eat three-cornered pastries. Generally, these hamentashen, or oznei Haman (Haman’s ears) as they are called in Hebrew, are sweet, cookie-like desserts. The hamentashen I made are cheese-filled and best served with tomato sauce. This Italian pastry is generally made as stuffed half circles of dough that is crimped at the edges to hold in the stuffing. I’ve made them here as savory oznei Haman or hamentashen specifically for Purim. Enjoy! Proof yeast by placing in bowl with date honey and warm water. Let sit up to 15 minutes until yeast begins to react. Add remaining ingredients and mix with fork until a stiff dough starts to form. Knead with hands for a few more minutes—adding more flour if dough is very sticky—and place in a warm location to rise for one hour. Meanwhile, sauté garlic and onions until onions become translucent. Add spinach and cook until wilted and dark green. Remove from heat. In a large bowl, combine cheeses and pinch of nutmeg. Add cooked spinach, and salt and pepper to taste. Place one heaping tablespoon (plus more if it fits) of filling in the center of the dough circle. Moisten the edge of the dough circle with water. Gently lift circle edges above the filling and pinch together so that a triangle is formed. Pinch together the remaining triangle edges. Place on a baking sheet covered with baking paper. Brush finished oznei Haman with egg. Poke or cut small holes in the dough so that steam can be released. Bake at 450° for 20 minutes until dough is crisp and browned. This recipe is adapted from the Moosewood Cookbook by Mollie Katzen. About the Author: Miriam Green writes a weekly blog at http://www.thelostkichen.org, featuring anecdotes about her mother’s Alzheimer’s, and related recipes. Her book, The Lost Kitchen: Reflections and Recipes from an Alzheimer’s Caregiver, will be published next year by Black Opal Books. Her poetry has appeared in several journals, including Poet Lore, the Prose Poem Project, Ilanot Review, The Barefoot Review and Poetica Magazine. Her poem, “Mercy of a Full Womb,” won the 2014 Jewish Literary Journal’s 1st anniversary competition. She holds an M.A. in Creative Writing from Bar Ilan University, and a B.A. from Oberlin College. Miriam is a 20+-year resident of Israel, and a mother of three. You can find Miriam on Facebook at https://www.facebook.com/thelostkichen/. 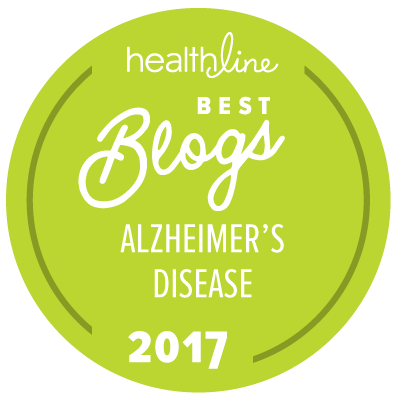 Caregiving blogger Sherri Snelling spoke to actors Jill Eikenberry and Michael Tucker about their journey in caring for Jill’s mother who has dementia. At the heart of their story is family and how “eat, pray, love” may be their new catchphrase when it comes to caregiving. What struck me the most when I spoke to Jill Eikenberry and Michael Tucker – her partner in marriage, career and life – was that in all things they are a team. We even did the interview with the two of them together, at their suggestion, and it gave me a glimpse into how their special bond of support, respect and caring for each other is a recipe for all couples who face a tough caregiving situation. In fact, their story is about love of family and food and the ingredients needed to keep it all cooking. Jill and Mike are like salt and pepper shakers – two distinct personalities and characters – but you never pass one without the other. We all watched them as one of our favorite TV couples in the 80s and 90s in their roles on the Emmy-winning series L.A. Law (what boomer woman can forget the famous Venus Butterfly episode?). Since then, both Mike and Jill have thrived as solo artists – Mike as an actor and as an acclaimed author, and Jill as a continually sought-after star on stage and screen with her latest turn in the movie, Young Adult. However, it is when they are performing together – whether it is playing the couple in Broadway’s Love Letters, or caring for Jill’s mother with dementia – that they really are at their best. For many years, New York City-based Jill and Mike, have been vacationing with friends – sometimes for weeks, other times for months – in the lovely Italian countryside in the Spoleto Valley of Umbria, Italy. This is where the couple recharges – the sumptuous food that infuses Mike’s meals, the chilled wine, the warm people, the beauty of the olive trees and the vineyards versus the urban jungle – it is their version of Cinema Paradiso. It was on one such trip about six years ago that Jill and Mike went from the calm of their Italian reverie into the storm of caregiving. Jill’s mom, Lora, was 87-years-old at the time and had been living in a Santa Barbara, Calif., assisted living facility for several years with her husband, Ralph. Although Lora had been hard of hearing for more than 40 years and had been experiencing some memory lapses, she was in pretty good health for an octogenarian. But Jill had recently grown worried. Her mom had started having paranoid fantasies according to Ralph and she had survived a fall, which according to the Centers for Disease Control puts 2 million seniors into emergency rooms every year, and Ralph was not in good health. Just a few days into their latest Italian sojourn, Jill and Mike got the call that Ralph had died. One of the toughest decisions for caregivers, especially those 7 to 8 million long-distance caregivers of older parents, is wondering whether it is better to have them live in a special facility that can provide the care they need or move them into your home or closer to you so that you can care for them. Many caregivers of older parents, even those who are married or who have siblings who can help, often tell me they feel “all alone.” While Jill is an only child, the secret ingredient in her caregiving situation is that she never had that feeling – she had Mike. What came next is something almost all caregivers face because so few families have that essential caregiving conversations before a crisis hits. (In fact, only one-third of all caregivers have had any conversation with their older loved one about long-term care.) Jill and Mike had to look for the paperwork to close Lora’s bank and other accounts; they had to deal with Lora’s expired passport and driver’s license to get her on the plane to New York. They also needed to find a memory care facility in New York City, and the list didn’t stop there. After the move to New York, it eventually became clear that although Lora needed almost constant care, the facility that Jill and Mike found for her was not a good fit. The solution came when the apartment literally across the hall from Jill and Mike became available and they moved Lora (whom the family calls Lolo) in. Around the same time both son, Max, and their daughter, Alison, from Mike’s first marriage, found themselves living in New York and helping out with caregiving duties. Alison, who is a chef and personal caterer, cooks most of Lora’s meals, Max gives his parents some respite by playing companion to his grandmother (when he is not playing drums in his band) and two professional nurses round out the “a la famigla” that Mike had always envisioned as part of their Italian excursions but is actually now playing out in the Big Apple. “We could not have planned it better but going through this experience really brought us together as a family,” says Mike. Besides the familial ties, Mike believes his gifts from caregiving are that he and Jill have become even closer and that he is now more realistic about his future and how he will want his family to care for him. Jill told me that she feels caregiving has taught her to “just let things happen and to not be in denial because it doesn’t serve you.” She also feels it has improved the communication she and Mike have and his support has allowed her to really discover who she was through this experience. Ahh the New Year is here – the hectic pace of the holidays is over, the frenzy over buying gifts and seeing friends and family is done (at least for another 12 months). You can finally breathe. That is, unless you are one of the 65 million Americans who are caring for a loved one – that moment to put the world on “pause” and get a break never seems to happen. When it comes to caring for an older parent, a chronically ill spouse or a child with special needs, we know that caregivers are at risk for adopting bad habits such as smoking or drinking, for not getting enough sleep, for not having the time to eat or exercise right and for not taking enough time to focus on themselves – whether it is a coffee date with a friend, a pedicure, a movie or other things that can bring a smile to our face. 1. First of all, you need to have an actual plan. If you just have a desire to improve something, it is not enough. You will be more successful at achieving your goal if you have steps on how to get there. For instance, it is not about losing weight – it is about the changes you will take to reach that goal. Breaking a big goal into small increments is a key part of your plan. 2. In addition, you need to track your progress. This instills a sense of mini accomplishments on the path to your goal. It helps to talk to someone who is invested in seeing you be successful. Having a friend or other support person who can be your “cheerleader” – celebrating your milestones towards the goal can help keep you going. 3. Lastly, be committed to your goal. Keep it simple (one resolution is better than two or three) and treat occasional “slips” as temporary setbacks on the path to reaching your goal. You have to commit to change. This is a marathon not a sprint. Be kind to yourself if you have a bad day that makes you reach for the chocolate. Remember the words of Scarlett O’Hara, “Tomorrow is another day.” Start fresh the next day after a lapse. I had the luck of meeting with a non-profit organization that I thought had a brilliant idea. It is called Healthy Monday – based on scientific research and the support of prestigious institutions such as Johns Hopkins University, Syracuse University and Columbia University, they have found that starting a new routine on a Monday will make you more successful at whatever you want to achieve. Essentially the premise is simple – just as the New Year is a time when we resolve to do something, every Monday is an opportunity to renew that promise to ourselves. Healthy Monday says their research shows that most Americans feel Monday is the day for a fresh start. It is part of our cultural DNA – Monday is the start of the work week, the school week and we feel renewed energy to start something after a nice weekend respite. For caregivers, I believe using the Monday point in time to remind you of “what have I done for me lately?” would make sense. Whether it is 5 minutes or 5 hours – it does not matter. Check in with yourself every Monday and take time for you. I was thrilled when Healthy Monday created a specific Caregivers’ Monday campaign. They are part of a national movement to get our society focused on the value of family caregivers and the need to help caregivers stay healthy themselves. Fifty-two weeks to reach your goal. Pick one thing that you would like to accomplish just for you this year. Check in with yourself every Monday. And, tell me what your “Me Time” tip is – I will include it in future videos and blogs. Good luck – 2012 is your year!